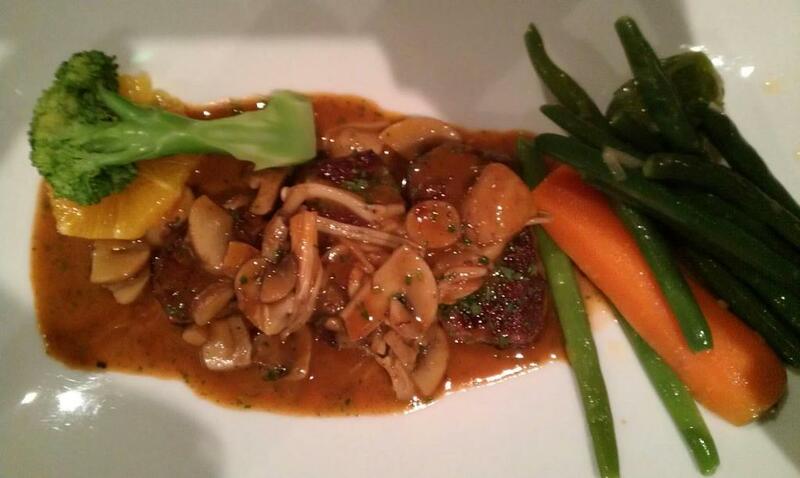 Venison loin in red wine and mushroom sauce. Venison was juicy and tasty, and was served in under ten minutes. The Japanese mushroom sauce was slightly tangy, and went nicely with the vegetables too. I need to break up my 7/10′s, so I’m giving this an 8. Strawberries on rhubarb and cream sauce, ice cream with meringue droplets. 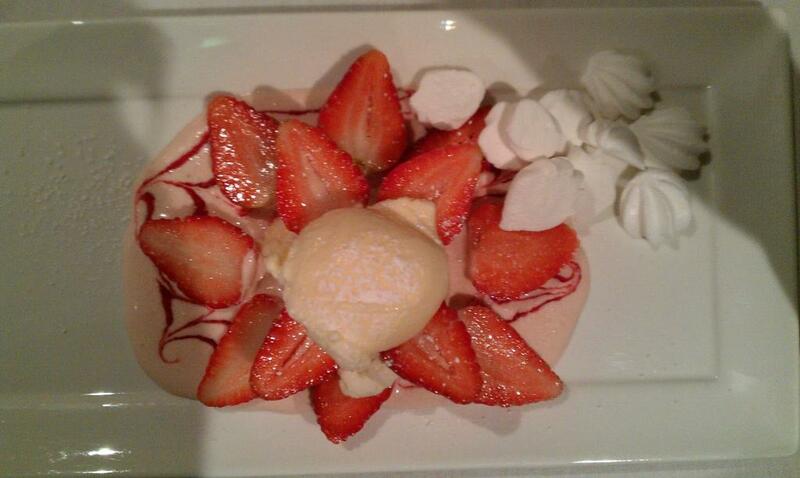 That was a huge pile of strawberries and cream. None of the components were sensational on their own, but together they made a nice combination. The meringue droplets were particularly tasty and fluffy, and the strawberries were the best you could get, but the central tower of honey ice cream was a bit too ordinary.